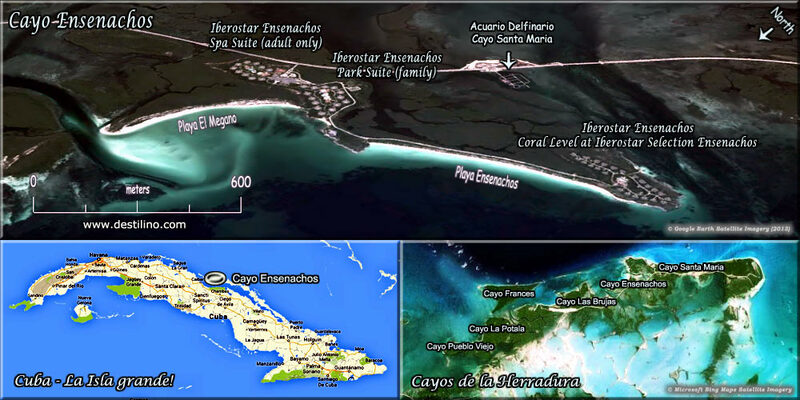 This hotel is located on Cayo Ensenachos, a small island off the north coast of Cuba, in the province of Villa Clara (101 km from the International Airport Santa Clara / SNU). 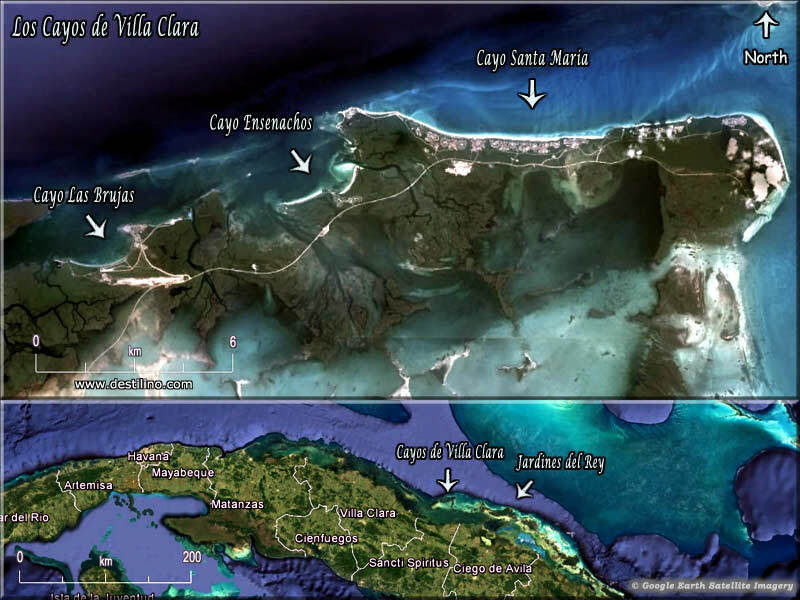 Along with its two neighbors, Cayo Santa Maria and Cayo Las Brujas, they together forms a group of keys called "Cayos de Villa Clara" (aka Cayos de la Herradura or Cayeria del Norte); and this little group of islands is part of a larger archipelago called "Jardines del Rey" (King's Gardens). • Beach Ranchon "Rancho Megano"
This hotel is a "one-island/one-hotel" concept making it a very private. There's no Ocean View rooms at this hotel. The lobby bar is open from 7 am to 1 am, not 24 hours. The only rooms with butler service are now the villas in the Grand-Village section. 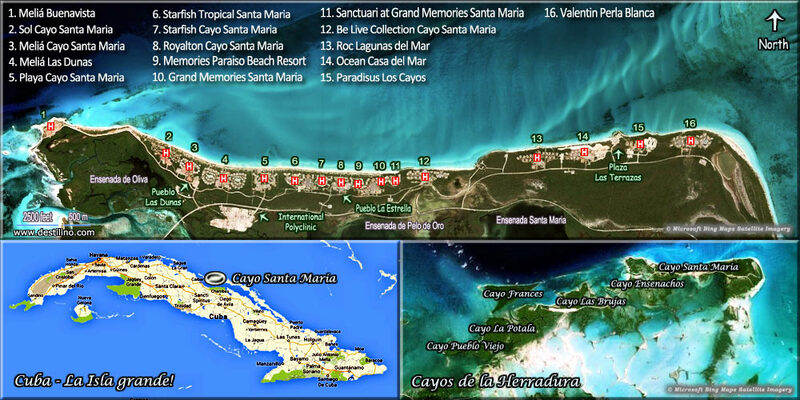 Please note that since the summer 2014, naturism is no longer allowed in Playa Ensenachos (near Grand Village section). 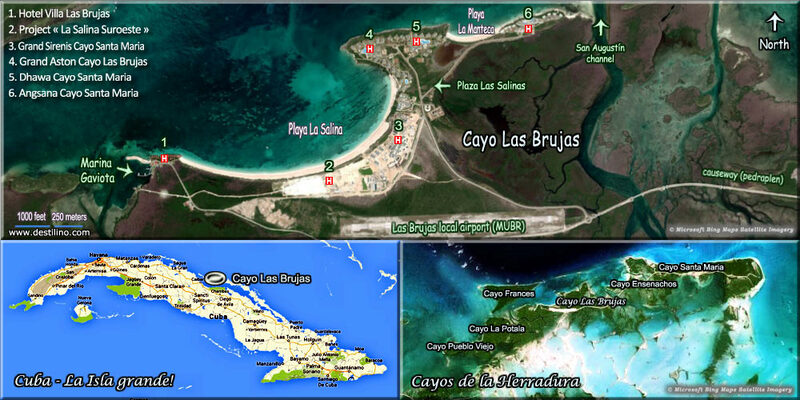 The only Clothing Optional beach in the Cayos de Villa Clara is in Playa Cañon between the hotel Sol Cayo Santa Maria and Melia Buenavista.